From Golden Hands, how to measure the tree and see where it will fall to. He will demonstrate on how to cut the bottom of the tree. He is Deaf, certified logger. 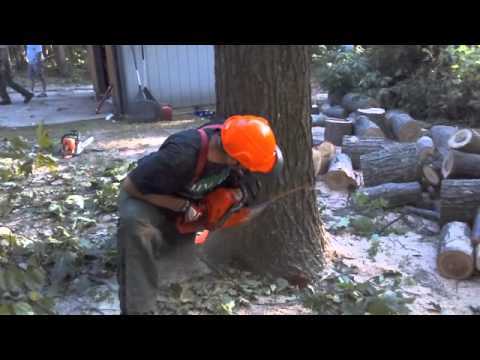 He did a great job cutting down the tree safe at my friend's house.